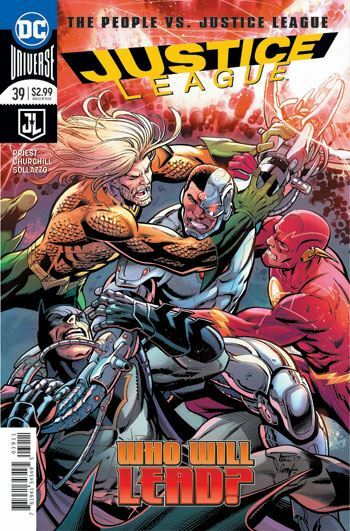 I am finding it very difficult to judge Justice League 39. There are many brief scenes, a lot of which touch on events from previous issues, or seem to be set ups for things to come. That in and of itself is hardly a criticism, but in this case Priest seems to be concealing the main thrust of his tale. I did enjoy a number of sequences. The Justice League of America show up, and almost steal the issue, simply because the actions they take are clearer and more direct. My favourite moments from the story are the scenes in which Cyborg testifies in front of Congress. Priest works in tweets from people watching the hearing, which illustrate the distrust the public now has in the team. But overall, when I reached the end of the issue, I was surprised that I was done. The problem with all the quick jumps of action is that one never feels that they are really into the meat of the story. I was just getting into the events taking place when suddenly they were over. I suspect that this will read much better in a collected edition, when one just keeps moving issue to issue, and it will read as one long tale. 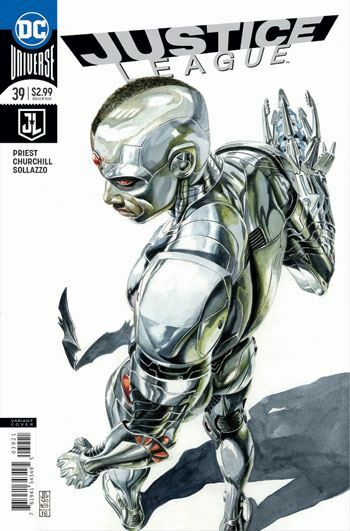 As much as I enjoyed the art and some of the moments, the issue as a whole just came off choppy and incomplete.